We recommend that all new potential parents and learners come and visit the school. We do not have any formal Open Days but would rather meet with you and show you around the school on a normal school day. We believe that this approach results in you seeing the school in a more realistic manner and can be organised to fit in with your schedule. Please contact the school office to arrange a convenient time. We are also happy for you to send your child along to the school for a day to gain experience of a normal day for learners at the school. Again please contact the office to organise a convenient time. 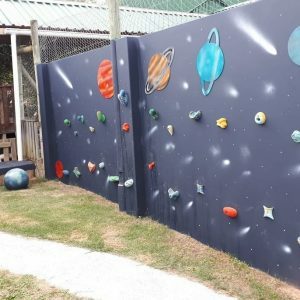 If you would like your child/children to attend Knysna Montessori School, please email admissions@knysnamontessori.co.za to apply. If there are not enough spaces in the environments that your child/children wish to attend, then they will be placed on a waiting list. Parents on the waiting list will be informed when their status changes. Parents must pay their deposit within two weeks of receipt of their acceptance letter, to ensure that their child’s position at the school is secured. 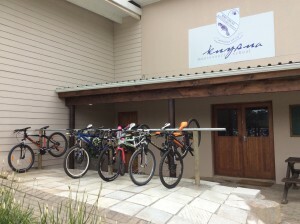 There are two types of bursaries available at Knysna Montessori School. Both bursaries are offered on an annual basis, and recipients are required to re-apply annually. The first one is a bursary to provide a child from a less privileged background with the benefit of a Montessori education at KMS. The child must come from a disadvantaged background with financial needs and from our community. The child must show strong academic potential, have a good track record and good language skills. They must have English as a spoken and (where appropriate) written language. Applicants may be required to sit an examination dependent on age. These bursaries are offered on an individual basis and are funded by generous individuals and therefore the number available is determined by the funding available. A letter of motivation and also, where appropriate, the latest academic record are required for this bursary. 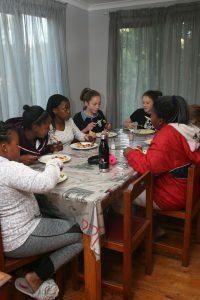 The second type of bursary available comes in the form of funding assistance where the school fees are reduced, especially for families going through economic difficulties. These bursaries are offered and reviewed on an annual basis. A letter of motivation, together with supporting financial documents, is required to apply for this. Again the number of bursaries awarded annually will be determined by the availability of funding. We highly encourage parents to read our FAQ. Here we discuss common questions about the Montessori education program. Be part of what matters most to you! 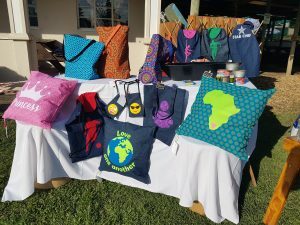 Raise funds for KMS without it costing you a cent! 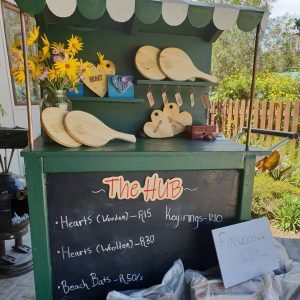 MySchool MyVillage MyPlanet is one of South Africa’s biggest fundraising programmes and raises over R5 million every month for schools, charities and animal welfare organisations. The program allows you to make a difference, just by shopping. Every time you use your card at any of their partner stores, a percentage of your purchase value will be given back, on your behalf, to the school or charity you choose at absolutely no cost to you! Get your free card today! Turaco House – HOME FROM HOME!